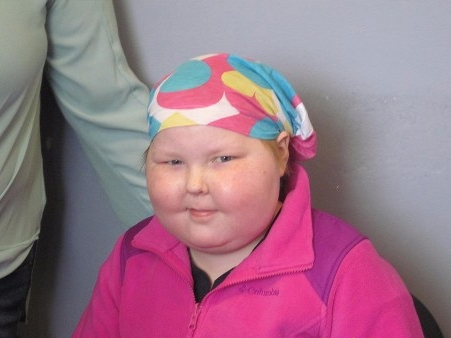 On March 31, 2016, Cops For Kids With Cancer went to the Scituate Police Department and made a $5,000 donation to the family of Maeve Kendall, a 10 year old girl from Scituate who has B-cell Leukkemia. In photo left to right, Maeve, mother Michelle, father Mike, brother Kellen, Bob Faherty, sister Fiona, and Lieut. Mark Thompson.